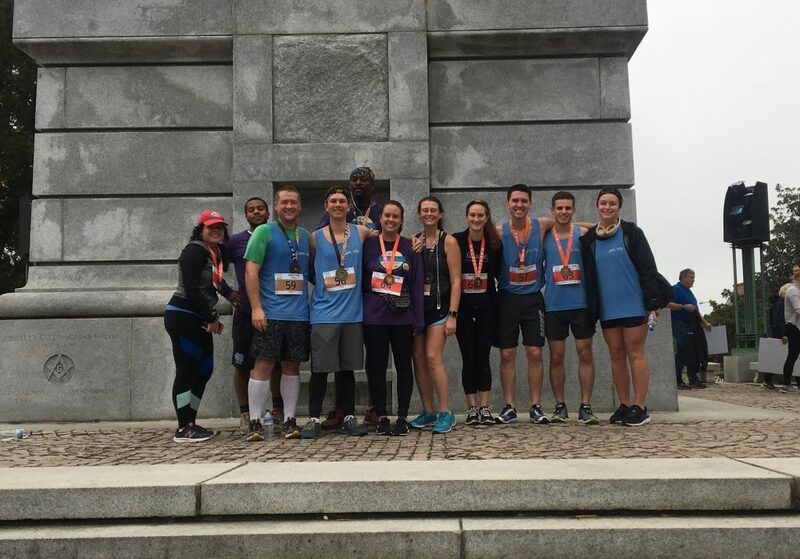 On Sunday, November 5th, ten Personify employees took part in the 11th Annual City of Oaks Marathon in Raleigh, NC, running in the 5k and 10k races. Over 5,500 runners participated in the event and raised $65,000 for the REX Healthcare Foundation, the YMCA of the Triangle, and Girls on the Run of the Triangle. The Personify runners celebrating after finishing the race. The Personify Wellness Committee coordinated our team’s participation in the event. The goal of this committee is to promote healthy behaviors and provide employees access to programs to help them make better lifestyle choices. We would like to thank the Wellness Committee for facilitating events like this to help our employees stay happy and healthy!